blueadt ~ >A Lesson Learnt…. >I’ve been on a finishing spree recently as I have too many projects on the go at once. 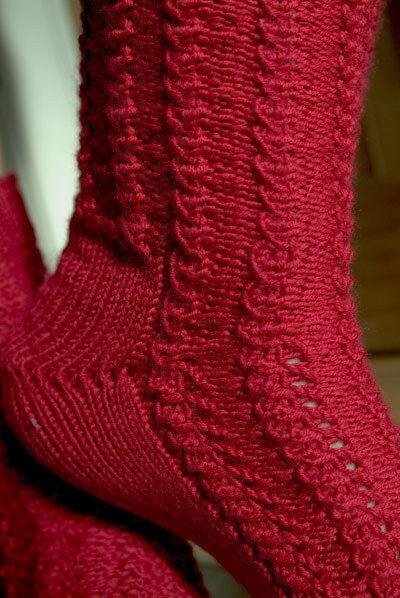 Pattern: Little Shell Rib socks from Sensational Knitted Socks. Because I left this pair for so long my tension had changed and it’s really obvious. I also don’t like the fit to the heel or toe. The heel is hard to stretch over my foot (I think I have high arches) & the toe seems huge but in future as mentioned previously I’m sticking to David’s Toe-Up Sock Cookbook so that doesn’t worry me. 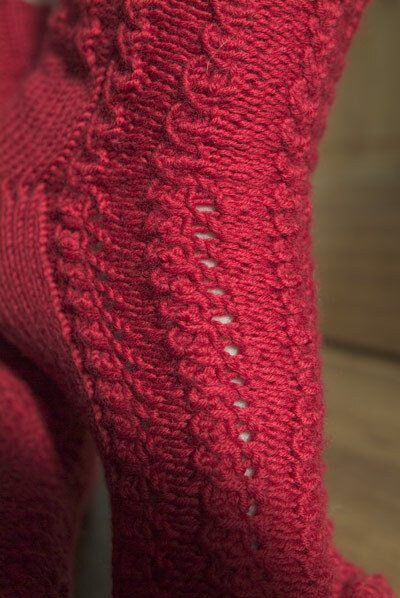 But as bed socks they’ll do and will be a reminder not to leave projects so long in future. However I have more old WIP’s to clear before my conscience is clear…..
>Enjoy your bed socks, they are very pretty. >I sometimes don't dare to put start and finish dates on projects in Ravelry as I'm not knitting nearly as often as anybody else it seems! I like the socks a lot, shame they don't fit well.